You don’t have to listen very hard to hear the thunder of Niagara Falls. 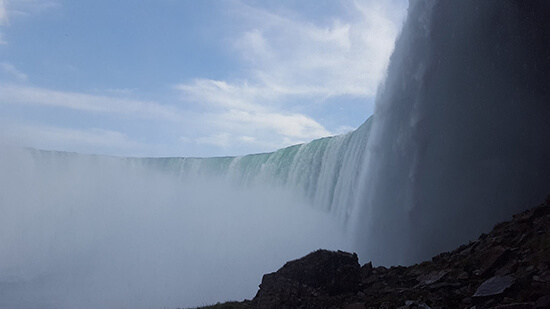 We could hear it crashing into a dense mist from our hotel – but then we had been lucky enough to snag a room overlooking the majestic Horseshoe Falls. We arrived just after 11am on a sunny May morning and, fortunately for us, said room was already ready for us to check-in to. We dropped off our luggage, paused for half an hour or so to make an action plan (and take in the killer Canadian-side-only view) and then headed down to the Falls. 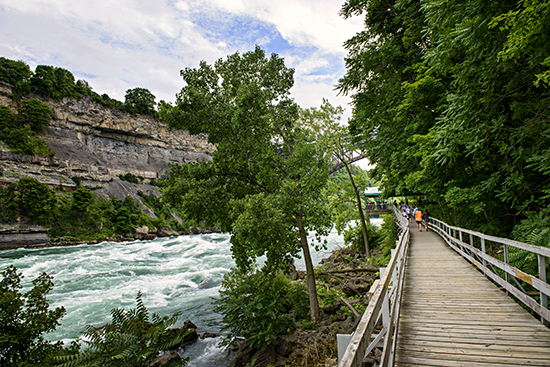 The White Water Walk is one of Niagara’s most out of the way attractions away from the core Fallsview district. But believe you me, that doesn’t mean it should be missed. 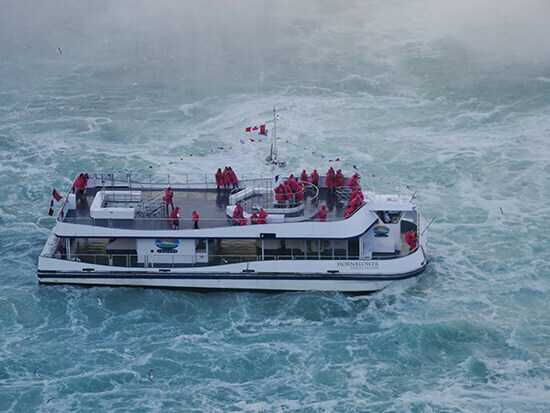 In fact, its Class 6 Whirlpool Rapids deep in the Niagara Gorge showcase nature at its most mighty – easily on par with the might of the Falls themselves. And if strolling along 300 metres of wooden walkways alongside the rapids doesn’t get your pulse racing enough, you can gaze into the very eye of the stormy waters from above, onboard the Whirlpool Aero Car. 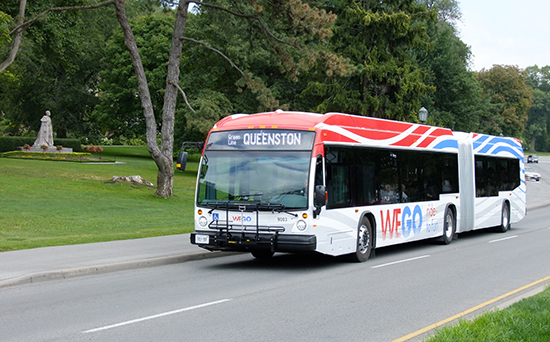 Niagara’s dedicated bus network will take you from your hotel down to the Falls, and out to spots like the White Water Walk, regularly throughout the day. It’s the easiest and quickest way to get from one attraction to the next; perfect if you’re time poor. A 24-hour pass will cost you just CA$7.50pp or CA$4.50 for children. Now it’s time to get right into the heart of the Falls. The first thing that will strike you (as it did me) will be the cold as you venture through a network of tunnels. Then you’ll hear the roar of the water. As you Journey Behind the Falls, you’ll emerge behind a curtain of water before stepping out right in front of it. Whether you opt for the Upper, Lower or both lookouts, one thing’s for sure: there’s no escaping the spray. Thank god for that fetching yellow poncho. Geology nuts will love the family-friendly Niagara’s Fury attraction. You’ll watch an animated show about how the Falls were formed – great for any youngsters in your party – before being led through to a 360-degree cinema where you’ll see, hear and feel the wonder of Niagara. 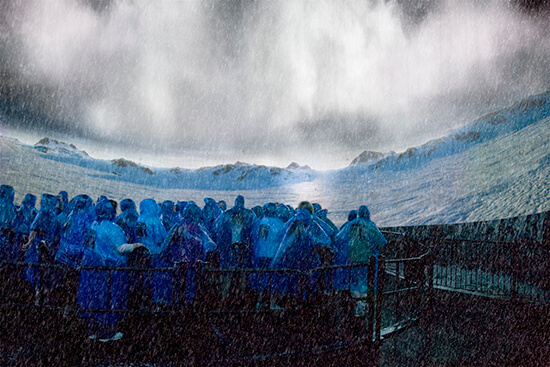 The thunder of calving ice, the gentle pitter-patter of snow, the whooshing of cascading water – this is a full sensory experience that gives you a first-hand glimpse of what the creation of the Falls was like. It’s time to pull on a poncho (again) because, on this ride, you will get wet. Very. 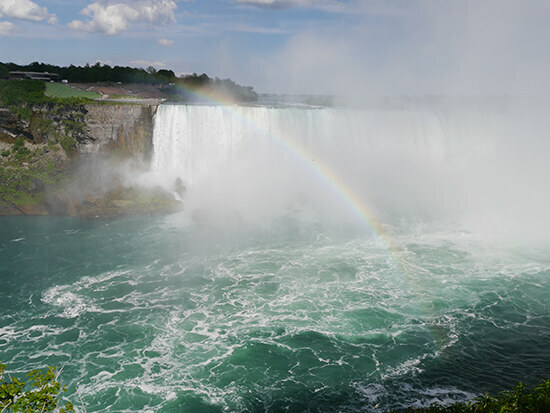 Whether you take the daytime Voyage to the Falls Boat Tour or the after-dark Falls Illumination cruise, you’ll get so close to the Falls that you’ll have to squint to see through the engulfing mist. It’s worth the stinging eyes and cold water though; as you turn to face the Falls in all their glory you’re getting as close as you possibly can to their majesty, and that’s a pretty refreshing feeling. Travel doesn’t get much better than this. 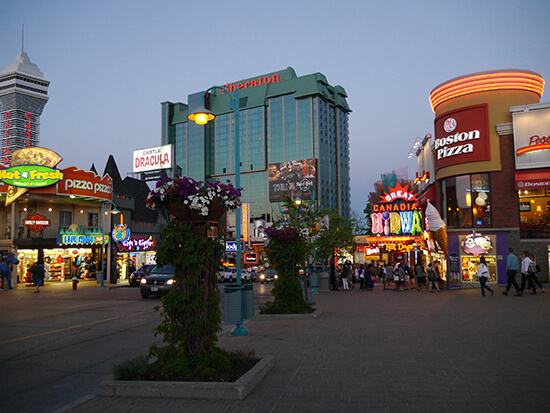 After you’ve exhausted all the Niagara attractions (including the new zip-line if you’re feeling brave), spare an hour or two to explore Clifton Hill. Weird, wacky and wonderful, it feels like Niagara’s answer to Vegas or Hollywood Boulevard. The neon shines bright and activities like Dinosaur Mini Golf, exploring the Ripley’s Believe It or Not Museum and riding the Niagara SkyWheel are the order of the evening. You’ll find all the fast-food chains you could ever want here, as well as some Ontario chains too: we ordered a brew-battered ‘Messy Fish Sandwich’ from Kelsey’s and it was delicious. After a busy day pounding the pavements and taking in the views of Niagara, it can be tempting to call it a night and retire to your hotel room – especially when it has a great view. Don’t. 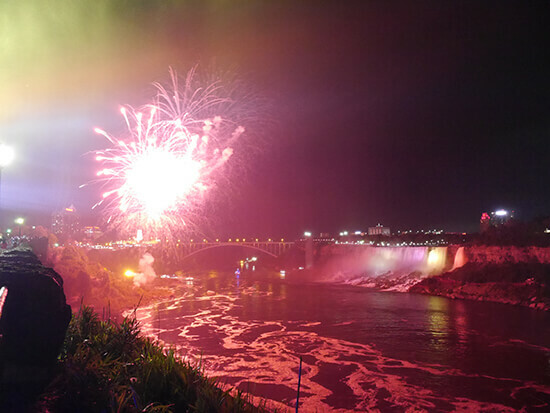 Instead, plan your visit so it coincides with a Niagara firework display; the dates for these are listed on the Niagara Falls tourism website. We were in town on Memorial Day weekend and – to salute their southern neighbours in the USA – the Canadian side put on a real light-up-the-sky exhibition. Team that with the illuminated falls below and you'll soon realise what the fuss is all about. 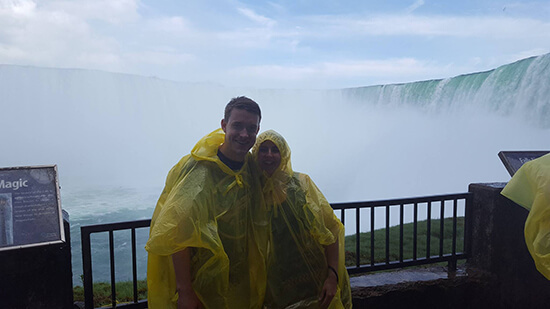 Alex explored Niagara on our Canada: East Coast Wonders Journey, one of our tailor-made holidays to Canada. 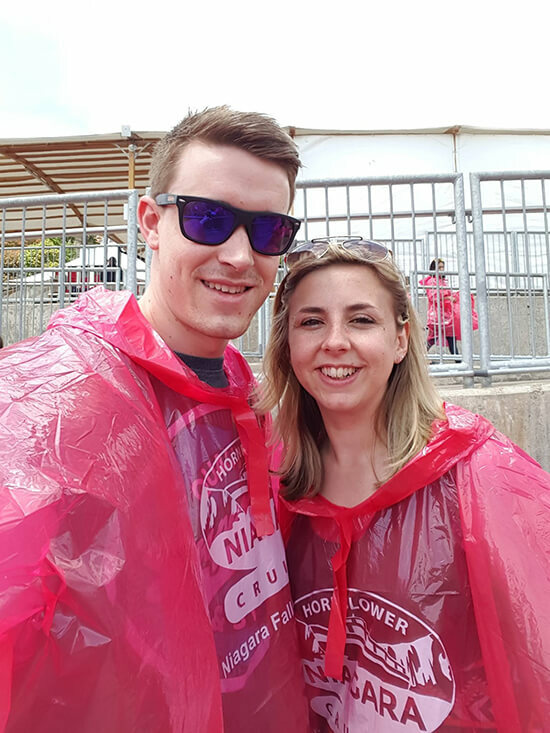 She used the Niagara Falls Adventure Pass, which includes admission to the Journey Behind the Falls, Hornblower Cruises, Niagara’s Fury and the White Water Walk, as well as two days unlimited use of the WEGO.